It's a moment that ruins your day. You get back to your vehicle and see a parking ticket, and anxiously look closer at it only to see an outrageous amount. Adding to the frustration, you see the amount due is marked as "urgent". We regularly hear from infuriated drivers all over the country about ripoff private parking tickets, towing and clamping. In response, we have put together this guide to private parking tickets to empower readers to take action. Under the government's Code of Practice for Parking Enforcement on Private Land, parking companies using the terms ‘fine’, ‘penalty’ or ‘infringement’ are deemed to be a misrepresentation of authority. We challenge the use of the word 'fine' - 'breach notices' is the correct term and anything else is a misuse. Whatever the dollar amount appearing on the ticket, it must be fair estimate of the actual loss to the parking company caused by your behaviour. $50+ tickets for a 30 minute overstay are usually unlikely to meet this test. Parking companies want to make their customers believe that the infringement notices are serious and the word 'fine' would convey that, along with the use of serious words like fines and penalties. Threats of bad credit scores and debt collection are more methods of bullying vulnerable customers to pay up. We believe the difference between a typical parking fee (ranging from $2-$6/hour in many locations) and a $50 to $65+ penalty is largely unjustifiable for the majority of infringements. We think you don't need to pay whatever the private company has 'fined' you. The law is largely silent on the issue, giving companies the power to charge whatever they feel the customer will pay. We believe $50 or $65 parking tickets for being 30 minutes late when the standard hourly fee is $2 to $5 is simply excessive. The position of Consumer New Zealand is to pay what you feel is reasonable - if you overstayed by an hour, they suggest telling the company you'll pay the cost of that extra hour. Parking companies will argue the parking ticket is to pay for the monitoring of the car park, but given you've paid them for parking already, that money goes towards the patrolling anyway. 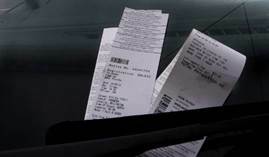 In our view, there is no weight in such an argument and we encourage every motorist in New Zealand to fight rip-off parking tickets. This guide outlines your rights when it comes to getting a parking ticket and a step-by-step guide to challenging parking tickets. However, if you want to challenge a parking ticket issued by a council or a government organisation, for example Auckland Transport, this guide is not for you. Please visit this useful resource which may cover the reason for your parking ticket and possible opportunities to appeal. We've listed some must-know facts below to help you better understand parking tickets and how you can challenge them. If your ticket was issued by the government (Auckland Transport, Wellington City Council, etc), this is a local authority traffic ticket which can cover a broad range of traffic offences. You'll need to contact the ticket issuer to either pay the money owed or challenge the reason for the ticket - this guide is not for you. If you have parked in a private car park and received a ticket, you will see it is issued by an institution other than the government (for example Vehicle Enforcement Services). Our guide gives you the power to challenge such tickets and fight back with confidence. Parking laws are designed to keep the roads safe; parking over a zebra crossing, clearway or driveway and blocking traffic flows is a danger and nuisance. 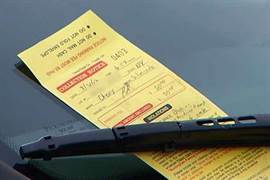 This guide is about keeping money in your wallet when a private parking enforcement company hits you with a hefty ticket for overstaying or similar. Due to the misinformation about these tickets, we want readers to know their rights and have the option of following a course of action that stands up to the scaremongering of faceless corporations. Paying a parking ticket right away is a big no-no - you are admitting liability and if you later want to appeal, the company has no incentive to listen to you. Once it has your money, it loses interest in you and getting back anything is near-impossible. That said, not paying it is going to lead to problems that are easily avoided. The general public knows little about the laws which govern parking companies, and this works in favour of anyone who operates a car park. 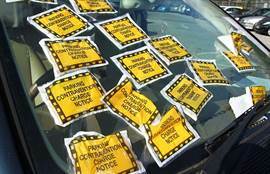 There are extensive reports in the media involving parking companies issuing "accidental" tickets by mistake as well as infringement notices for vehicles in areas outside of their control. 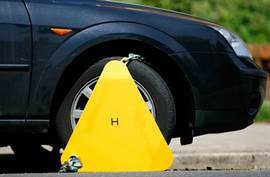 Parking companies know that most recipients don't want the hassle of a fight, inconvenience and the risk of a bigger penalty, and opt to pay the money demanded to solve a problem. As it stands, parking companies have all the cards - little or no competition, general misinformation about the enforceability of their tickets, and thousands of potential revenue-generating cars entering their premises every week. $65+ additional revenue per car is very persuasive to a business which can ultimately lead to behaviour that puts profits before accuracy. 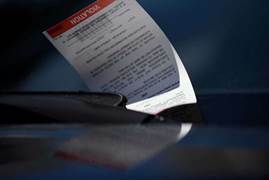 We believe that if there were a law forcing car parking companies to repay incorrectly ticketed customers double or triple the dollar value of the original ticket, the staff giving out such infringement notices would be trained to triple-check every offending vehicle before issuing any parking ticket. 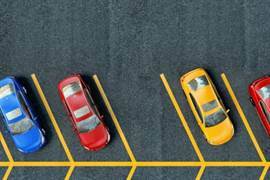 If you want to stop a car parking company from sending an infringement notice to your home, you can revoke access to your personal details with the help of the New Zealand Transport Authority. This prohibits third-party companies like Wilson Parking and similar operators from accessing your vehicle's owner details. To make things clear, if you've revoked access, the car parking company cannot find out your address to chase you for payment. Revoking access is free to do, takes less than five minutes; you'll need your vehicle registration plate number and a proof of ID. Once you opt out, you are still liable to parking infringements, but the operator will need to prove you've failed to comply with its parking rules. This includes taking as many photos as necessary to prove the breach, including the number plate, a view of the entire dashboard, the vehicle's position including a detailed view of the background and any other relevant details such as chalk markings and signage. If you see a notice of an infringement on your vehicle, you are entitled under the Code of Parking for Enforcement on Private Land to ask for photo evidence. If there isn't any such photo evidence, any infringement is unenforceable and must be waived. If there is photo evidence, it's possible some of the photos show empty parks surrounding your vehicle. If this is the case, the car parking company's claim that the extra time in the car park caused a financial loss is even weaker. Opting out doesn't give you the right to be inconsiderate and never pay for parking; if you are in the wrong, the best option is to pay for the time you overstayed. The best approach is to send our template letter to the parking company. The worst thing to do is to do nothing. This puts you at the mercy of the parking company's tactics, which can get awfully scary, very quickly. By acting quickly, you can make it clear that you believe the parking company's claim is unreasonable and that you are offering to pay for the extra parking used at the company's standard rates. You should also state that further correspondence will be referred to the Commerce Commission and the Privacy Commissioner. There has been a contract between you and the parking company, and that the ticket represents a fair estimate of the actual loss to the parking company. No such legal contract exists between you and the parking company, and even if it did, the parking ticket (which is often $50-$65) exceeds a fair estimate for any loss. You are offering to pay for the extra time in the carpark, at the standard hourly rates. This is a 'pro rate' rate. For example, if you overstayed 30 minutes and the hourly fee is $8.00, you could offer $4.00 for the proportion of an hour you used and didn't pay for. Our guide to credit scores and reporting is clear - private car parking tickets do not appear on your credit history. Debt collectors and credit reporting agencies only work with banks or retailers where there is a written and enforcible contract in place. Genuine debt collectors will never chase a parking ticket. Instead, it's likely that a collection agency chasing a car parking ticket will be owned or related to the car parking company. Car parking companies love credit card payments. They don't want to invest in team members to explain and justify their pricey tickets to complaining customers. Instead, they prefer to make money by making the payment process easy. Our view is that ALL online payments and online appeal portals are best avoided - sending our template letter is a preferred option to establish communication. Download our template letter and fill in the details in the yellow spaces, i.e. how late you were and the reason why. Decide how much you'll pay for the overstay - we suggest anywhere between $2.50 and $10.00 for overstays of up to an hour (depending on the hourly charge of the car park). Send the letter with confidence; you've clearly explained the law to them and how their excessive charge does not constitute the "actual and reasonable costs incurred". In most cases, that's the last you'll hear from the parking company. Further correspondence should simply repeat the template - there is nothing more to say, and you have the legal rights to fall back on. MoneyHub takes massive issue with the lawlessness of Towing and Clamping. We are working on similar guides while campaigning lawmakers about the issue. Our team continues to be perplexed as to why clamping remains legal despite a consensus from New Zealanders that it serves no public purpose and is a general nuisance. Clamping is outlawed in Australia and the United Kingdom, and despite the absence of clamping lobbyists in Wellington to sway parliament, there is no law change in sight. Towing and clamping is a highly emotional experience for any vehicle owner, and it's something we receive a lot of complaints about. Until the law changes to prohibit cowboy operators holding cars to ransom at seemingly any price they want, we're sad to say that there is no hope for upholding individual rights. MoneyHub receives numerous complaints about Wilson Parking, mostly in regards to $65 breach notices for parking and what to do about it. We believe that Wilson Parking is not alone in its practices which, in our view, rely on the fear of motorists to pay up. For these companies, it's a game of numbers and probability - issue enough infringement notices and a certain percentage will pay. These companies also threaten customers with bad credit files. We have approached ALL of the credit score and credit report companies which New Zealand banks, insurers, phone companies etc. use - none of them would ever add a parking offence to the credit file. Any 'credit agency' which involves a parking infringement will likely be owned by a parking company, and won't be a (legitimate) credit reporting company at all. Wilson Parking, which generates the most complaints we receive, is not a New Zealand-owned business. It's one of many Wilson Parking outfits that operate around the globe using similar practices to the detriment of consumers. The business is 100% owned by overseas investors per records filed at the Companies Office. We have published this guide to protect drivers from the wild west of parking infringements issued by private companies on private land. If you have something you think we need to know, please contact our team - we'd love to hear from you.